Maps certainly help us understand the world, including the size, distance, and location of cruise destinations. These cruise maps provide an overview of some destinations to consider for planning your next cruise. A Caribbean cruise map can be useful in planning your cruise or finding the ports and distances to interesting sites nearby. Many of the Caribbean itinerary ports are islands, but countries in North America, South America, and Central America all include Caribbean cruise ports of call. This gallery of maps includes many of these Caribbean islands and countries of the Americas with Caribbean ports visited by cruise ships, along with the Bahamas, which are in the Atlantic Ocean, and Bermuda. Although the world is filled with marvelous cruise destinations, some exciting destinations are close to home for those of us living in the Americas. 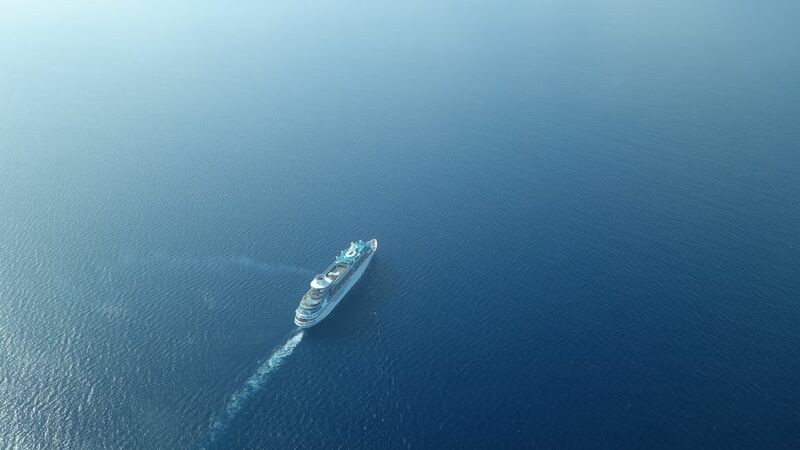 On the Pacific Ocean, cruisers can sail to Alaska, Hawaii, or along the Pacific Coast of North America. In addition, they can visit the Mexican Riviera or stopover in one of the countries of Central America on their way through the Panama Canal. Cruises repositioning ​to or from South America also often visit Pacific Ocean ports in Central America, the USA, or Canada. On the Atlantic Ocean, cruises often visit New England and Atlantic Canada in the fall. Caribbean cruises visit Mexico and Central America. Like North America, cruise travelers can visit South America from three oceans—the Atlantic, the Pacific, or the Caribbean. South America can be a long flight, but covers only three time zones. The far eastern coast of Brazil is three hours ahead of Eastern Standard Time, Buenos Aires is two hours different, and the western coast of South America is on Eastern Standard Time. Twenty-three countries spanning three continents surround the Mediterranean. Some countries like Italy, Greece, Spain, France, and Turkey have many ports of call. Others like Croatia and Morocco are just discovering what cruise tourism can do to help their economies. Finally, some countries are way off the beaten path for cruise tourism, but you might be able to find a small or boutique cruise ship if you are determined to visit them. Dozens of cruise ships sailing the northern Atlantic Ocean or the Baltic Sea stopover in several of these 17 countries of northern Europe. In addition, river ships cruise the Russian waterways, the Netherlands, Belgium, and Germany. Northern European cruise itineraries most often feature the countries surrounding the Baltic Sea, but others cruise the Norwegian fjords or the United Kingdom and Ireland. River cruises enable travelers to see some of the great capitals of Europe along with medieval villages and fascinating towns along the way. River cruise itineraries cross Europe between the Black Sea and the North Sea, using the Danube, Main, and Rhine Rivers or portions of these rivers. Other river ships sail either the Seine or the Rhone and Saone Rivers in France, the Moselle or Elbe Rivers in Germany, the Douro River in Portugal, or the Vistula or Oder Rivers of Poland. Spring river cruises feature the tulips of the Netherlands and Belgium. Moreover, river ships sail between St. Petersburg, Moscow, and the Black Sea on the rivers and waterways of Russia. The South Pacific and the islands of Oceania are becoming popular cruise destinations, with ships circumnavigating the continent of Australia, sailing between New Zealand and Australia, cruising the islands of French Polynesia, and exploring the smaller islands of Oceania. South and East Asia are rapidly becoming popular cruise ship destinations. The ports are exotic and interesting, the culture and history are fascinating, and the area is an excellent choice for cruises in the winter, spring, and fall. Many cruise lines base ships in South and East Asia for a part of the year, and others include Asian ports on world or extended-length cruises. War in the Middle East (or more properly Southwest Asia) has kept many travelers from visiting this region, but a cruise is a good way to tour there in relative safety. These maps show the most popular ports of call in Southwest Asia, the Persian Gulf, and the Red Sea. Repositioning cruises between the Mediterranean and and Far East stopover in countries along the Red Sea, as do many world cruises. Dubai has become so popular that some cruise ships are based there in the winter months. Africa has cruise ship ports on three oceans—the Atlantic Ocean, the Indian Ocean, and the Mediterranean Sea. Although Africa is not usually thought of as a cruise destination, these 20 countries are visited by cruise ships. Many of these ships are on extended-length or world cruises from Europe, North America, or Australia. However, some cruise ships are based in southeast Africa during the winter months while the weather is cold in the northern hemisphere. Antarctica is often called the "white continent," and the name is well-deserved. Much of Antarctica is covered with ice and snow, and cruise ships primarily sail from the tip of South America or Africa to the Antarctic peninsula.